Seule, ta parole est la vérité. Pour toi, dans le ciel! 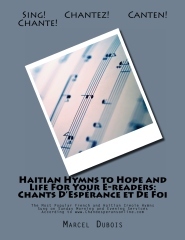 Choir Director and Pastor Marcel Dubois' most recent project culminates in the compilation of the most popular hymns sung by Haitian / American / French churches during Sunday morning and evening services. He wants to thank all the ministers, faithful, and music directors of these churches and congregations that had sent their programs to him for the duration of this project. They believed in this project. And they wanted to see its success. Pastor Dubois hopes that this compilation is going to benefit many church members. 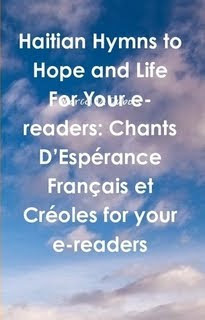 Just like you, he believes in the power of music to help you praise and worship God.